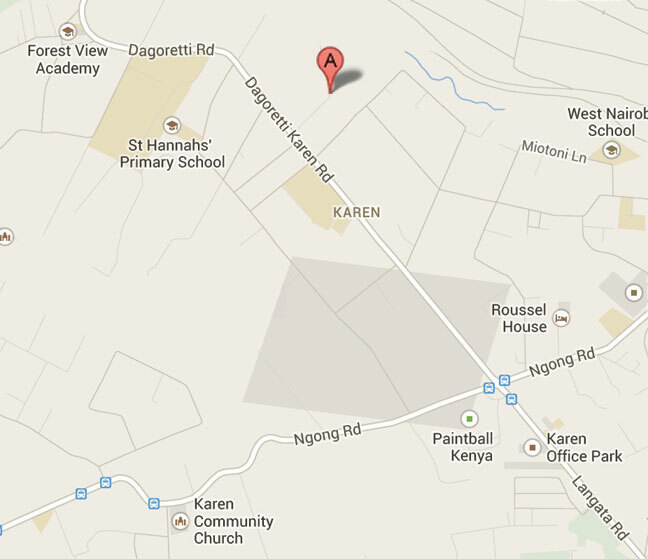 EA Residents Ksh 6,000 per hour … we do 2 hr rides or more only. We are not a traditional horse riding school, as only offer individual instruction for both beginners and advanced riders. However, we take beginners on a quiet walk in groups and offer lunge (balance) lessons for starters. 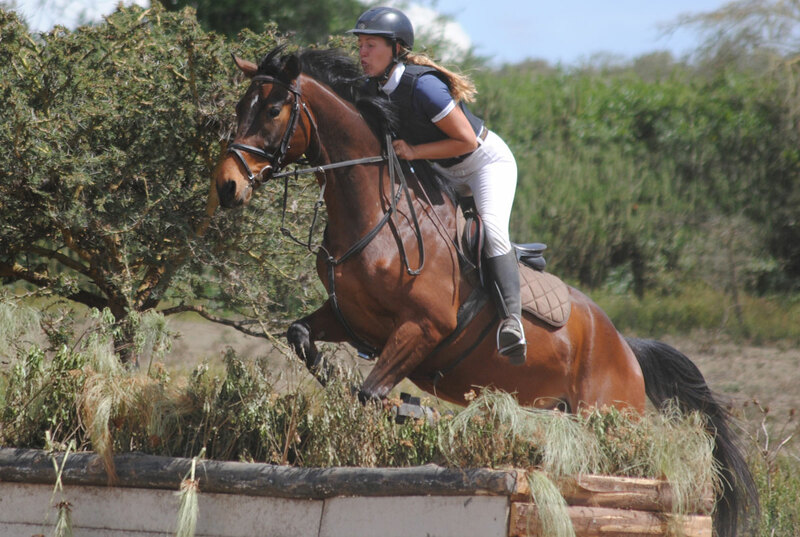 For the more experienced riders we have a 22 jump cross country course, 60×30 all weather sand arena and a variety of show jumps. All our horses are competing at – for Kenya, high level and get schooled by us between clients to do so. 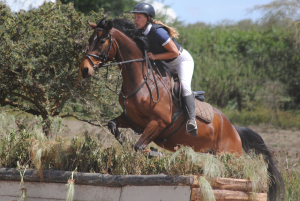 Clients can compete on our horses once we assess the riders’ skills are at the level to manage. 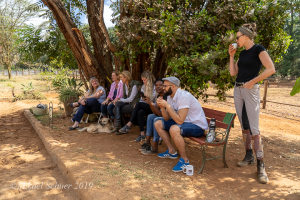 Nairobi Breakfast horseback trail rides starts 8 or 9 am, one hour of horse riding in the forest and returning to traditional Danish pancakes, eggs Benedict, Greek yogurt w honey & fruit in the Karen Blixen 1910 house @ 9.30 or 10.30 am. A true colonial, Art Deco silverware breakfast set up on the veranda in our private home. Only for groups of 4 or more at 250 usd per person. Nairobi Sundowner horseback trail rides include an hour of horse riding in the forest then returning to stable for tapas and a variety of optional drinks (Sparkling, gin & tonic or beer/sodas) We gather under the big Bombax tree in our yard to enjoy our bitings – lounging on pillow clad wooden benches with Shuka blankets to fend of the cool of the night. 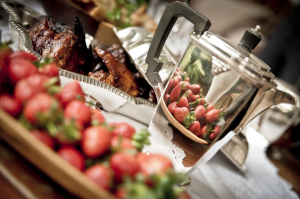 The horses are fed whilst and our kerosene lamps keep the atmosphere as sun sets – 125 usd per person. Only for 2 riders or more. Nairobi Picnic horseback rides are not available at the moment. Therese, Camilla, Anette, Nynne have respectively won Danish Championships in dressage, European Championships for Arabs, competing internationally in Eventing and a variety of teaching experience in various diciplines. We only have high level instruction on offer. For balance work and basic skills our Kenyan instructors are excellent. They are trained to ride and teach every week and have won and have placed in the grooms classes at shows many times. 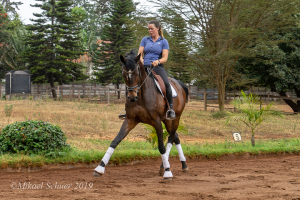 Several have years of experience from various local riding schools in Nairobi. 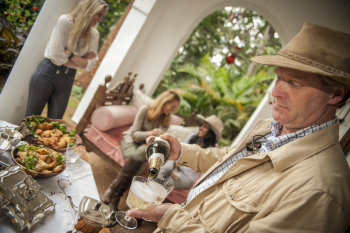 Rides are an hour ride and champagne or gin & tonic and/or beer/sodas around the big Kapok tree at our yard on wooden benches, safari chairs with Shuka’s to wrap yourself in as night falls. 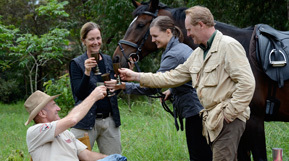 See what past guest thought of our horseback riding tours of Kenya’s Nairobi Forest. View our reviews on TripAdvisor.com.